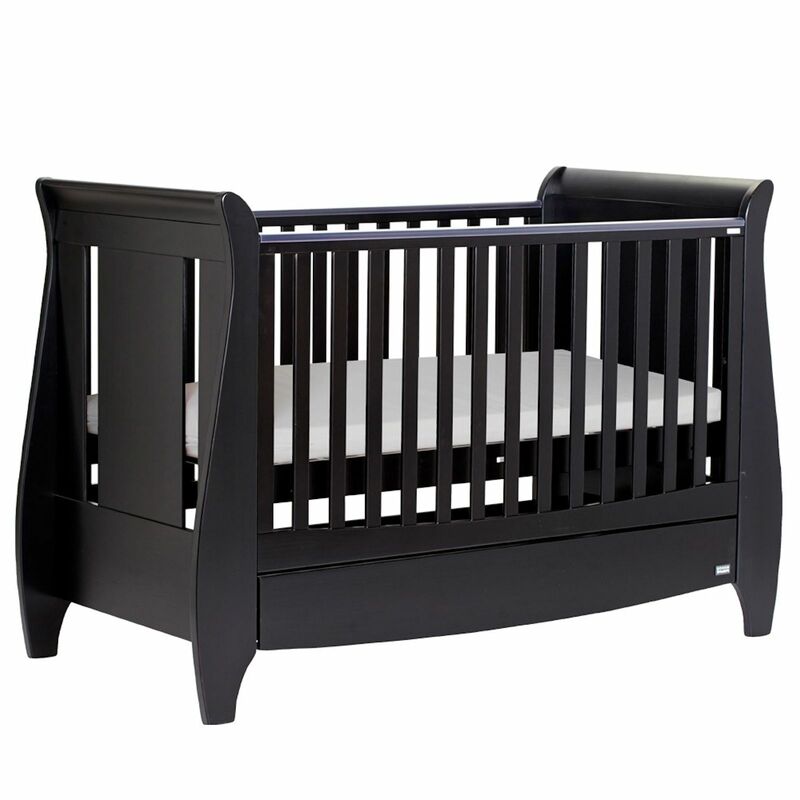 Place your order today and receive delivery within 2-3 Days. 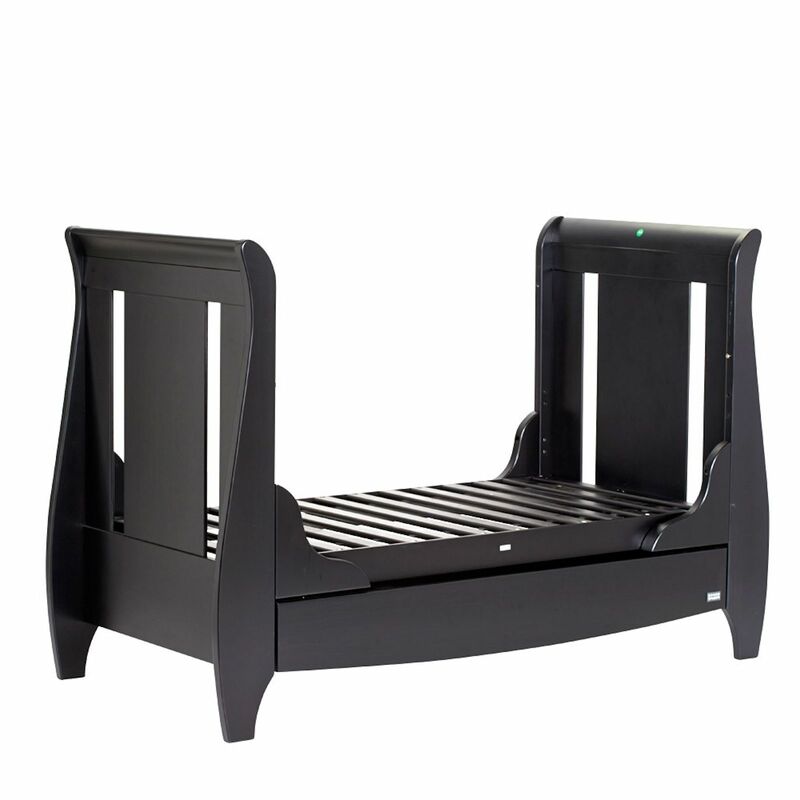 This item is dispatched directly from the manufacturer. more info .. 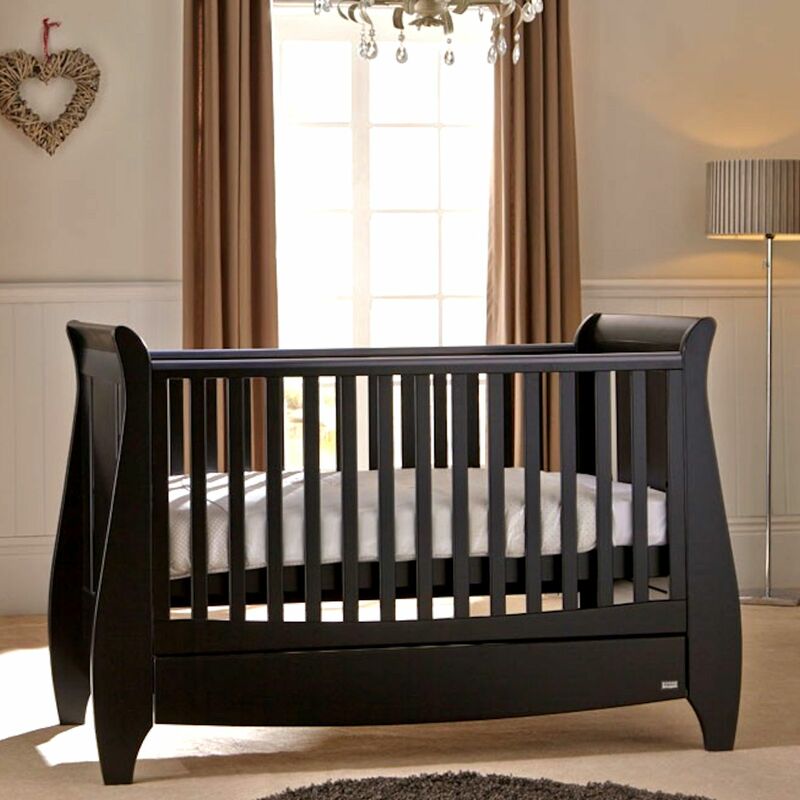 The classically-styled Lucas Cot Bed from Tutti Bambini is sure to add a certain style and graceful elegance to your nursery. 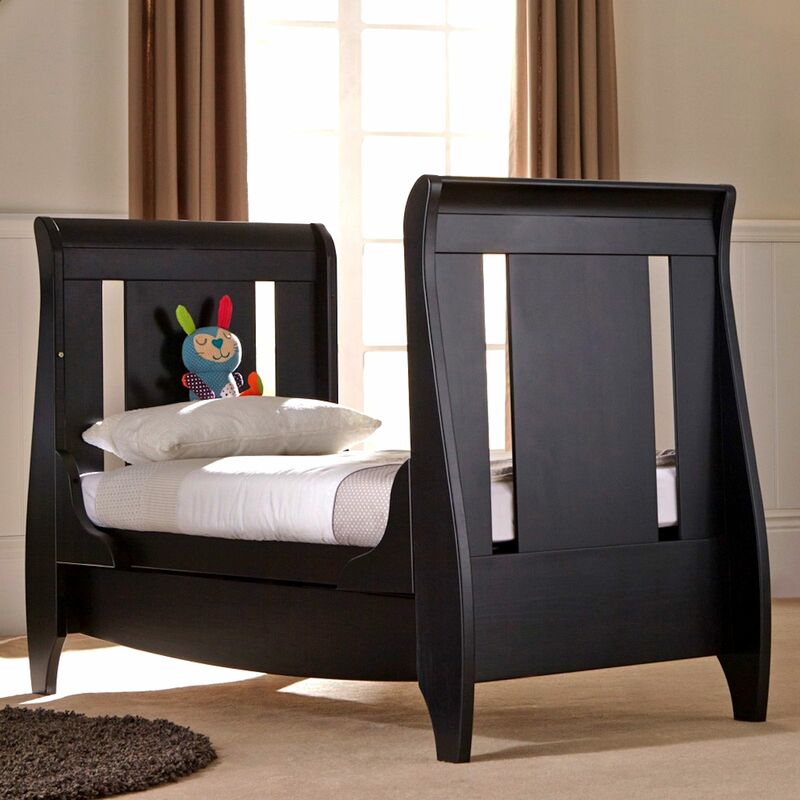 Crafted in solid wood, the Lucas has been manufactured to the highest of standards offering you the option of 3 base height positions to help prevent back strain from constantly bending low to pick baby up. 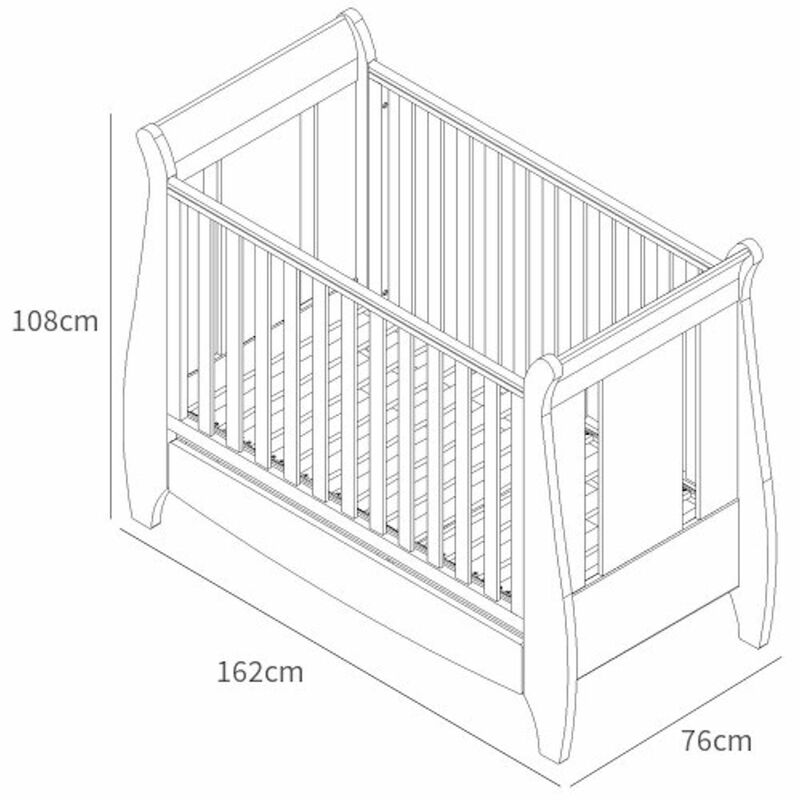 The integrated storage drawer is ideal to keep baby’s numerous items organised, close at hand, but also out of site, helping keep your nursery neat and tidy. 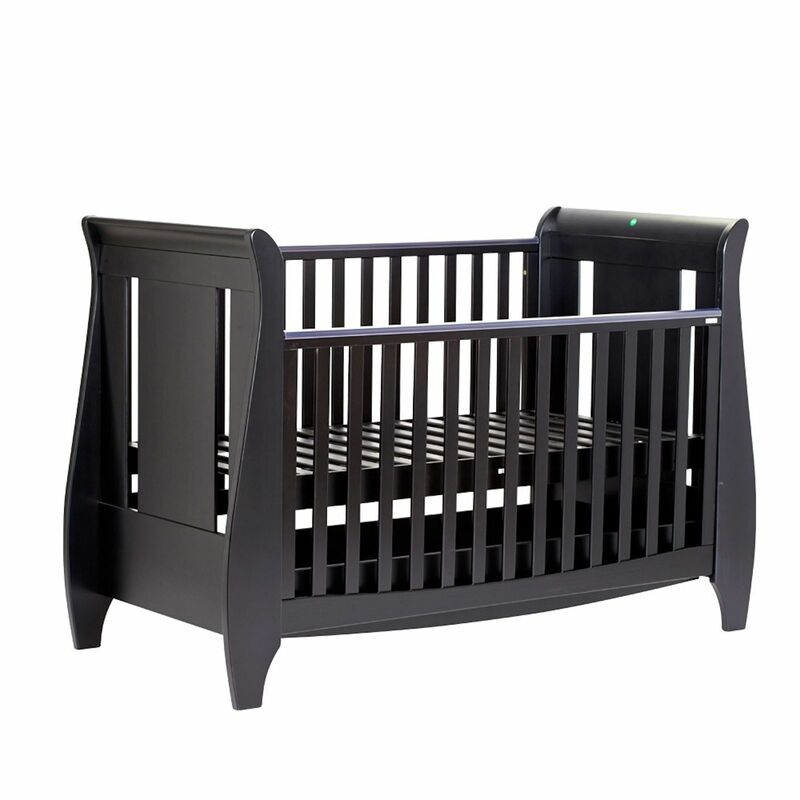 Teething rails are supplied not only to protect delicate teeth and gums, but also to protect your beautiful cot top rails. 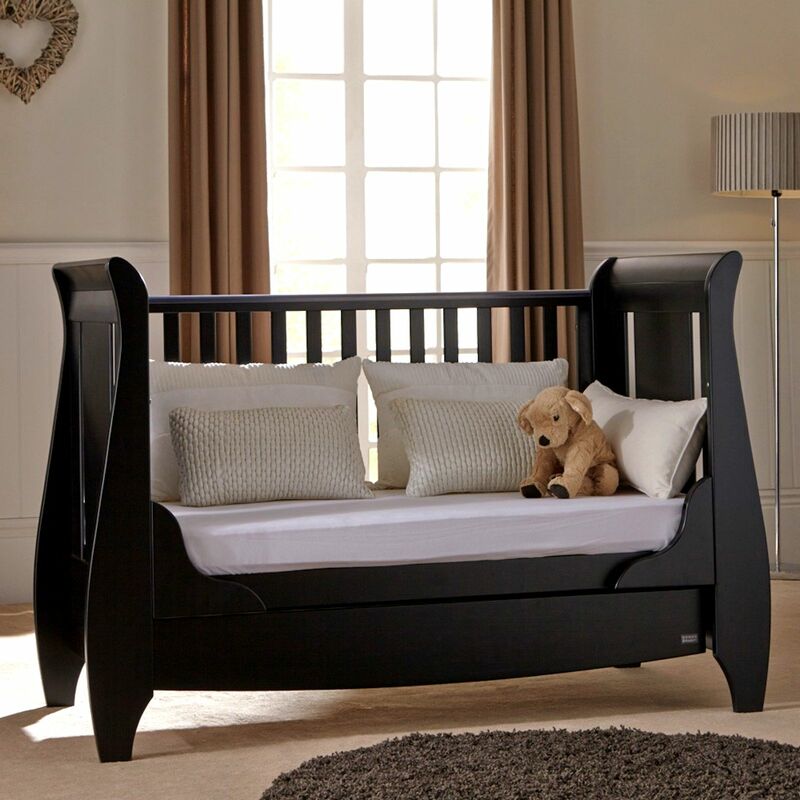 The Lucas is suitable from birth and as soon as your child grows too large to be contained safely, the cot bed easily converts down to an equally elegant junior bed, and then on to a sofa for continued and prolonged use.